↑ UNESCO World Heritage Centre. 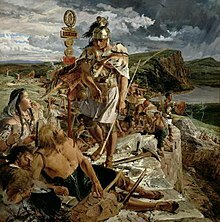 "Frontiers of the Roman Empire". สืบค้นเมื่อ 2007-11-26. ↑ National Trails. 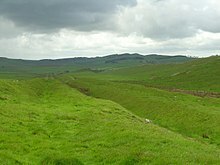 "Hadrian's Wall Path". สืบค้นเมื่อ 2007-11-26. 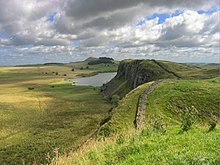 ↑ Hadrians Wall Path National Trail. "Every Footstep Counts - The Trail's Country Code". สืบค้นเมื่อ 2007-11-26.
de la Bédoyère, Guy. 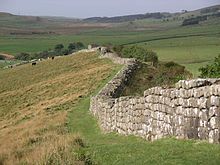 Hadrian's Wall. A History and Guide. Stroud: Tempus, 1998. ISBN 0-7524-1407-0. Tomlin, R.S.O., 'Inscriptions' in Britannia (2004), vol. xxxv, pp.344-5 (the Staffordshire Moorlands cup naming the Wall). A set of Speed's maps were issued bound in a single volume in 1988 in association with the British Library and with an introduction by Nigel Nicolson as 'The Counties of Britain A Tudor Atlas by John Speed'. หน้านี้แก้ไขล่าสุดเมื่อวันที่ 19 เมษายน 2562 เวลา 18:43 น.